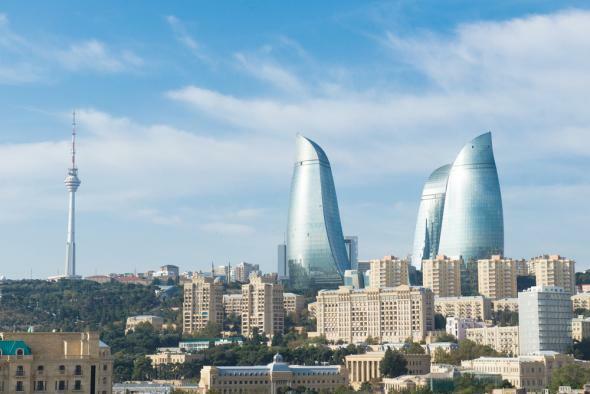 Congress Azerbaijan conference: Ten members may have violated travel rules. Baku, Azerbaijan, where the conference in question took place. According to the Washington Post, the Office of Congressional Ethics has discovered that a state-owned Azerbaijani energy company used nonprofit proxies to fund a trip by 10 members of the House of Representatives to a 2013 conference in Azerbaijan. Such foreign-funded travel would appear to violate the Foreign Gifts and Decorations Act; per the Post, however, there is no evidence any of the legislators who took the trip knew that the two Houston-based nonprofits that funded it were actually fronts for Azerbaijani government interests. The independent Office of Congressional Ethics, which was launched in 2008 to conduct investigations, has given its report on the matter to the House Committee on Ethics. The House Committee on Ethics can recommend sanctions against House members (which would then be voted on by the full House) and can also refer incidents of potential illegality to state and federal authorities. The members of Congress who attended the 2013 Azerbaijan conference on SOCAR’s surreptitious dime were Reps. Jim Bridenstine (R-Okla.), Yvette D. Clarke (D-N.Y.), Danny K. Davis (D-Ill.), Rubén Hinojosa (D-Texas), Sheila Jackson Lee (D-Texas), Leonard Lance (R-N.J.), Michelle Lujan Grisham (D-N.M.), Gregory W. Meeks (D-N.Y.), Ted Poe (R-Texas) and former Rep. Steve Stockman (R-Texas). Former high-level presidential advisers Robert Gibbs, Jim Messina, and David Plouffe received fees in the tens of thousands of dollars to speak at the conference as well, though it doesn’t appear that they violated any rules by doing so since they did not have formal ties to the White House at the time.